Recently I inspected a Classic Alvan Clark Telescope for a potential buyer in Florida - Mr. Angel Gomez. 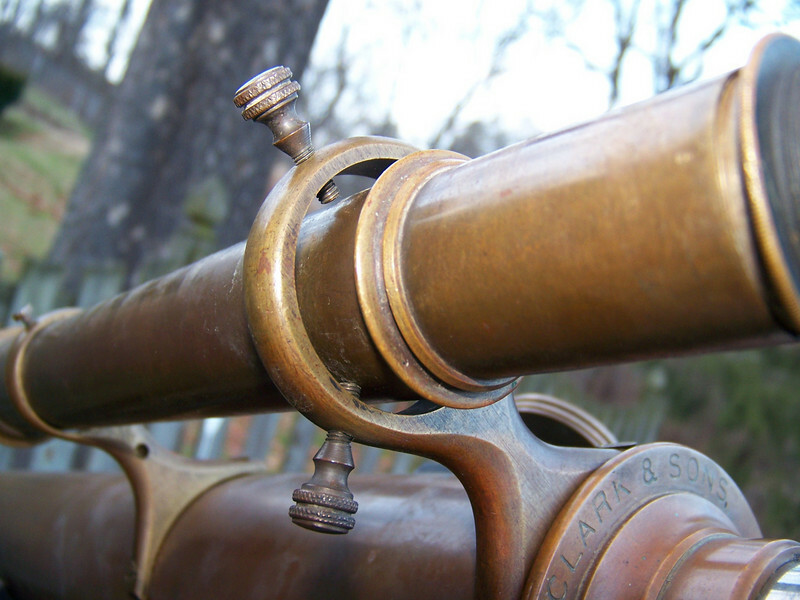 The telescope has an interesting history having been one of only 25 made by the Alvan Clark factory in 1899 for sale by the Andrew J Lloyd & Co. It is in very good condition for the age of the instrument and is very much almost all original. The Lloyd Instruments are also featured in the book Artist in Optics, by Deborah Jean Warner in a breif description. The telescope was purchased in 1964 by Mr. Charles J Emert, 335 Barnes St, Pittsburgh 21, PA a prior owner who recently sold this telescope to the current owner Nick DiLiscia in Finleyville, PA. The history is very well documented with original letters from Burton L Fitzgerald who purchased a substantial amount of the remaining inventory of the Alvan Clark & Sons telescope firm upon it's demise in the 1950's as is well known among Clark collectors. Also included with the sale of this wonderful scope is portions of an original Alvan Clark Catalog and other historic literature! The catalog identifies this as a Clark 3 inch refractor on the # 3 equatorial mount. Review the last pages of pictures to see the letters and catalog. Clark workmanship is expressed here also.